The Eurosmart Cosmopolitan Mono Basin Mixer features a modern design with state-of-the-art features and a convenient pop-up waste set - simply close the pop-up waste by pulling the rod at the back of the tap and push down to open it again to drain the water away. The tap features GROHE SilkMove cartridge technology for smooth and precision handling and GROHE EcoJoy which reduces water consumption by up to 50% without compromising on performance. Crafted from high quality materials and finished in a special chrome coating that is scratch resistant and easy to clean. 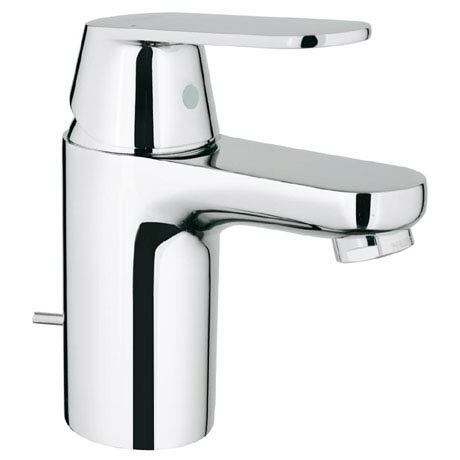 All Grohe bathroom taps come with a 5 year guarantee.